To become an authorized dealer and get special reseller conditions please fill in the following form online. Kindly note that we will review your application carefully before assigning special conditions to your account. Search quickly and easily from over 1000 articles! 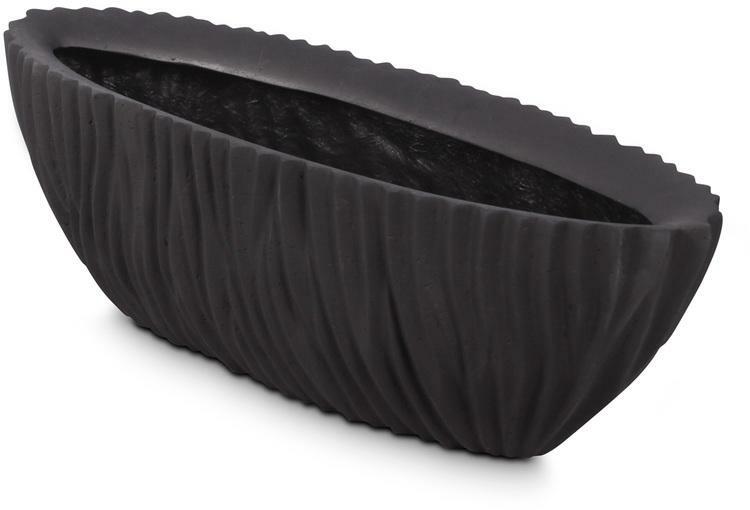 The long, deep plant bowl is made of polystone and is an expressive highlight in decoration. URL too long? We help! To use this service please first login to our website. Thank you. Receive a 5% online discount for all orders placed in our shop! The online discount will be subtracted from the total value of goods in the shopping cart overview (after login). for any questions regarding our shop! 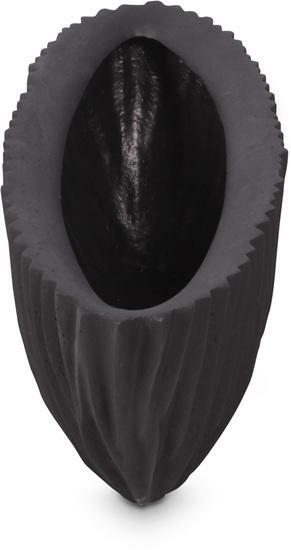 The black, elongated planter is ideal as table decoration and can be used both indoors and outdoors. Made of Polystone, a mixture of plastic and stone, the table pot is particularly light and robust. With its wave-shaped surface structure, it attracts all eyes. Questions? We will be happy to assist you! Mon-Fri 8 a.m.- 6 p.m. and Sat 10 a.m. - 4 p.m.